On page one, we have “Preparing 2025: a Noble Purpose Leads to Frankness and Direct Language”. Pages 2-5 present the article “The World as a Mirror of the Soul: There Is No Separation Between One’s Inner Life and the External Universe”. 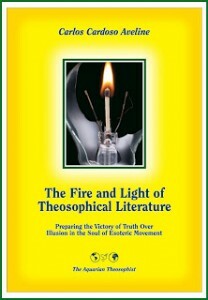 On pages 5 through 7, there is an article by Steven H. Levy, M.D., entitled “The Power of the Movement: The Union and the Strength of Theosophists Come From the Original Teachings”. Then the reader finds “A Course in Theosophy: Weekly Lessons Due to Start on June 25”. On page 8, we see “The Alchemical Purification”. Between pages 9 and 12, we see “The Secret of Tomorrowland : a Film on the Theosophy of the Future”, and “Inside Out: Disney Teaches About Levels of Consciousness”. * Thoughts Along the Road: Observing the Sacredness of Daily Life.